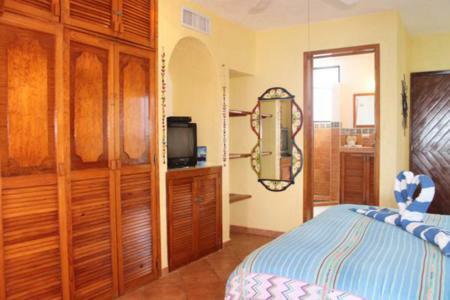 Luna Azul Condominiums has a great central location on Half Moon Bay and is within walking distance to Akumal’s Yal-Ku Lagoon, restaurants and other services. 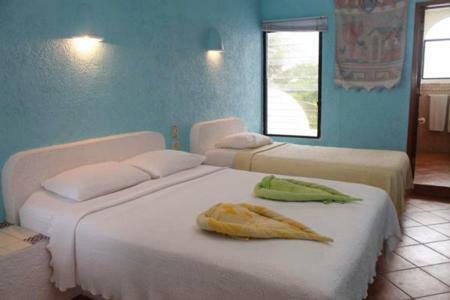 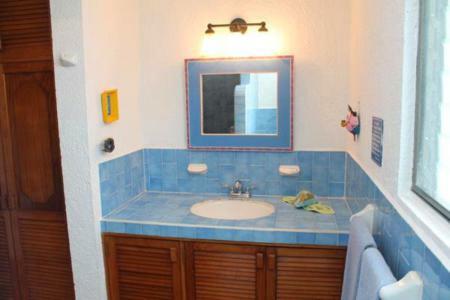 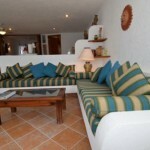 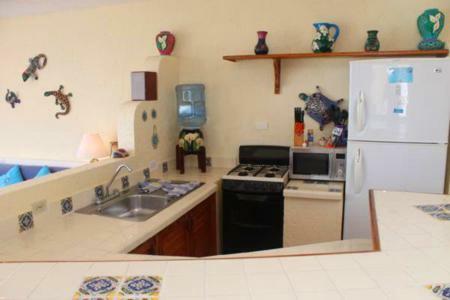 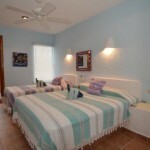 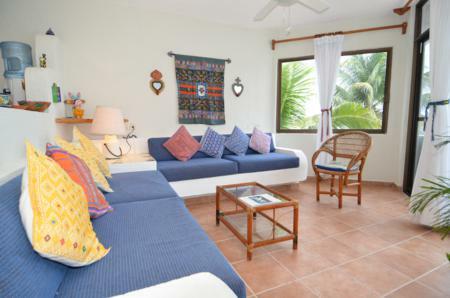 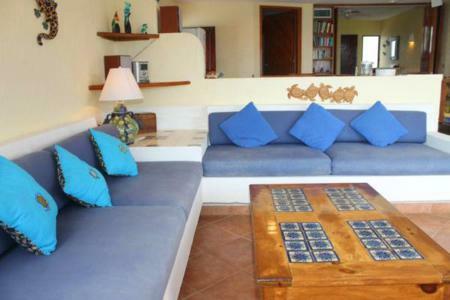 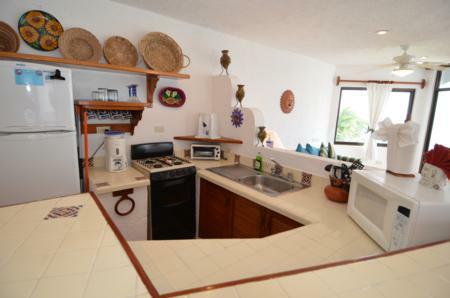 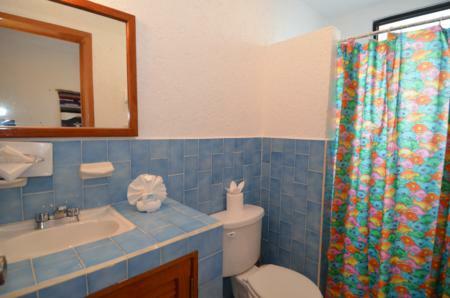 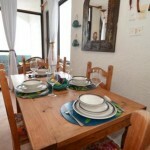 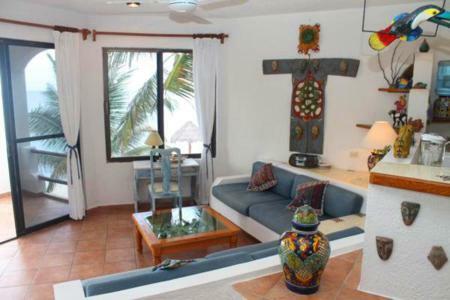 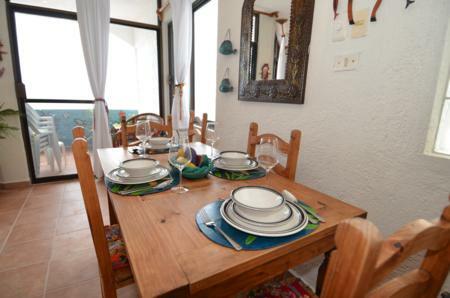 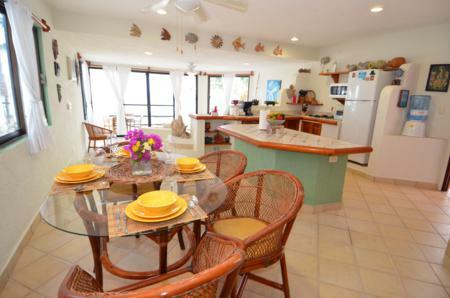 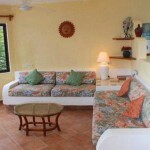 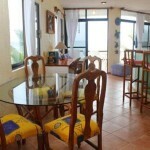 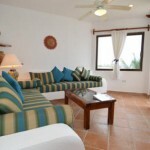 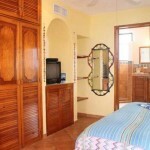 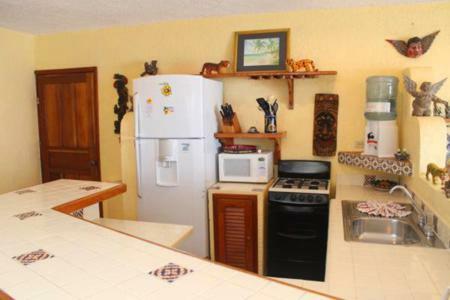 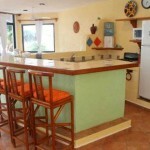 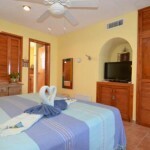 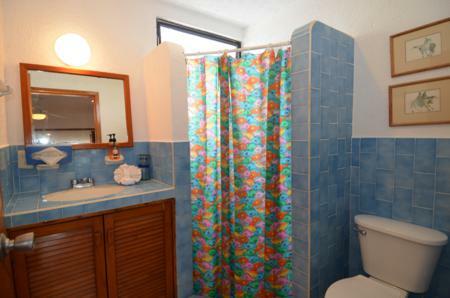 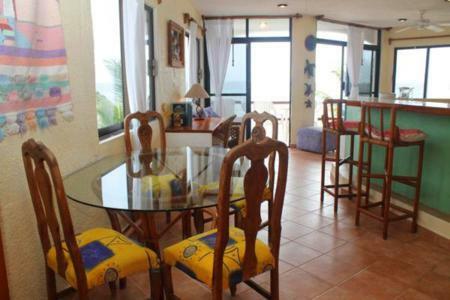 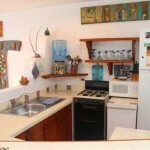 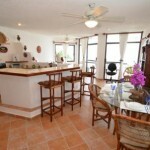 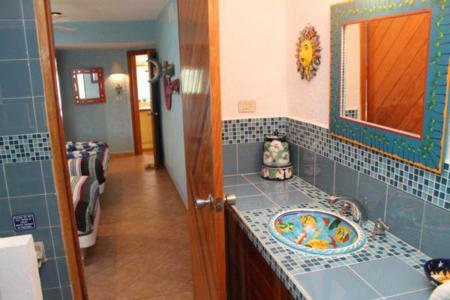 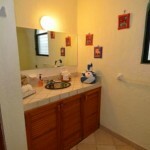 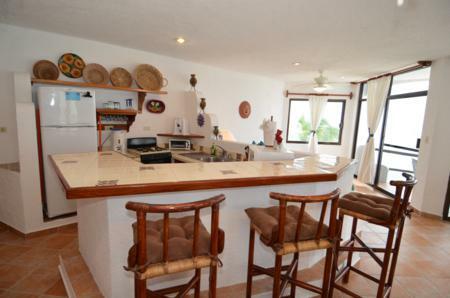 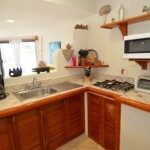 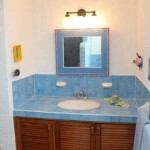 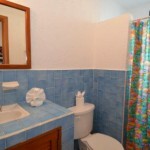 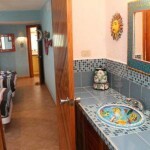 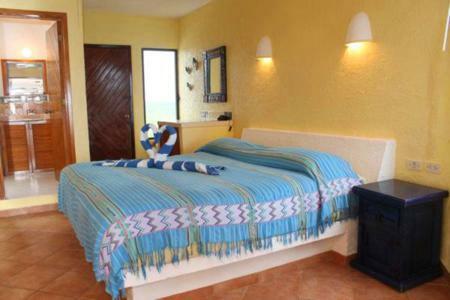 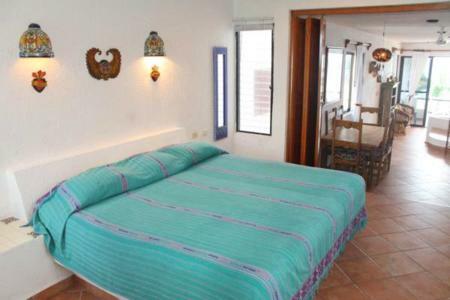 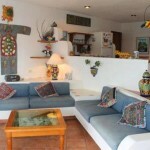 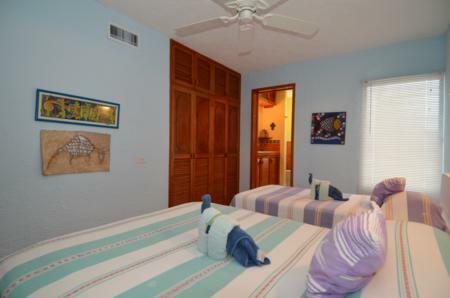 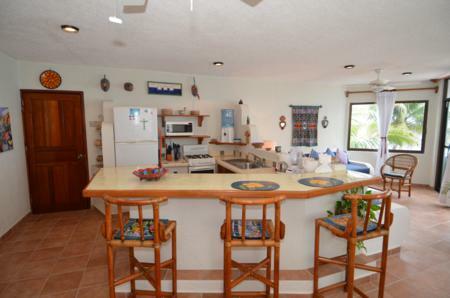 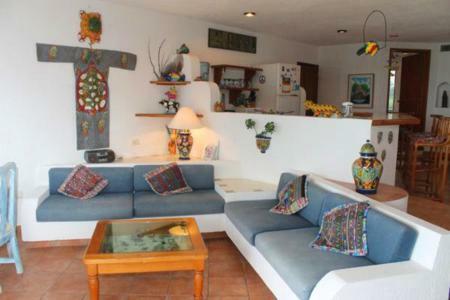 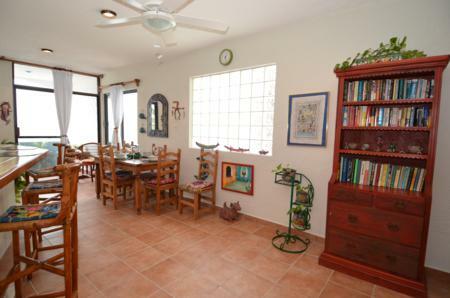 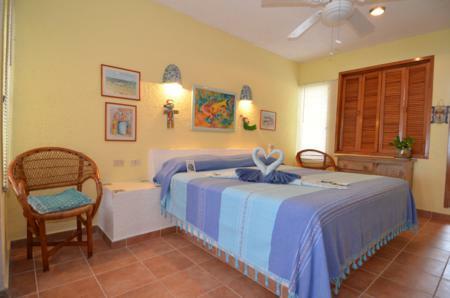 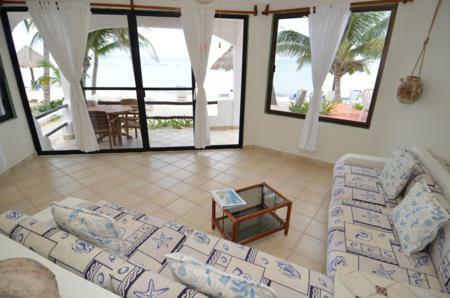 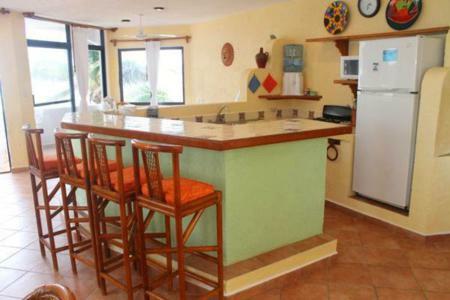 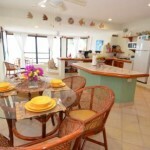 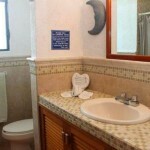 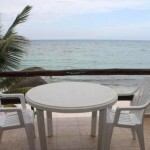 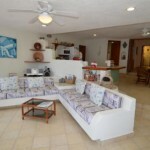 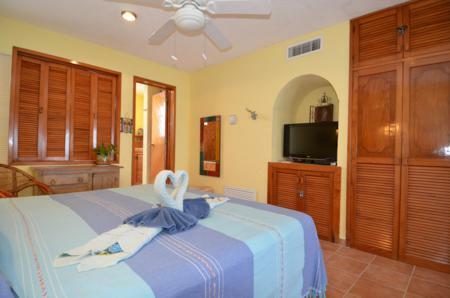 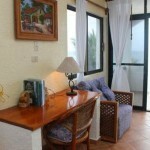 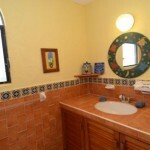 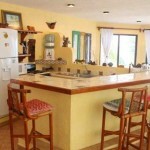 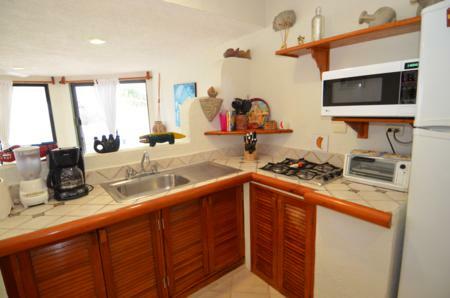 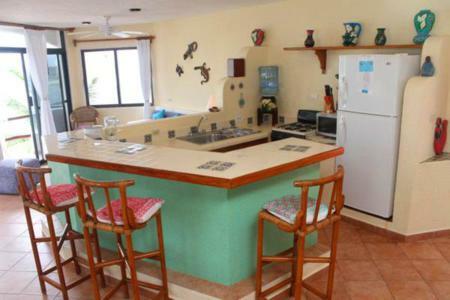 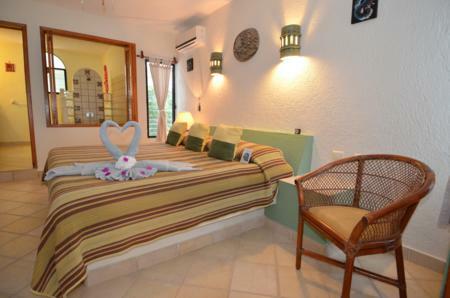 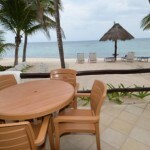 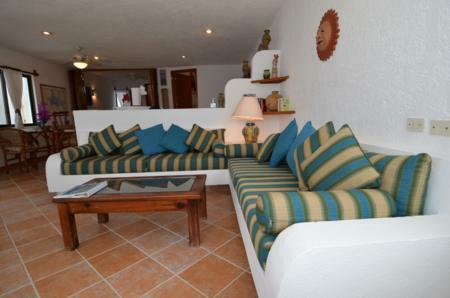 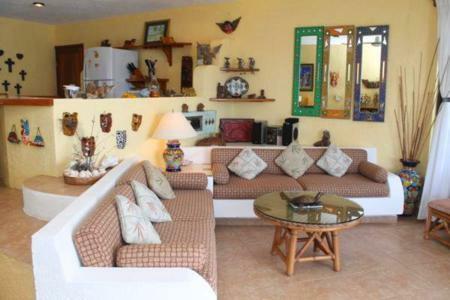 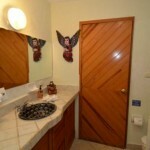 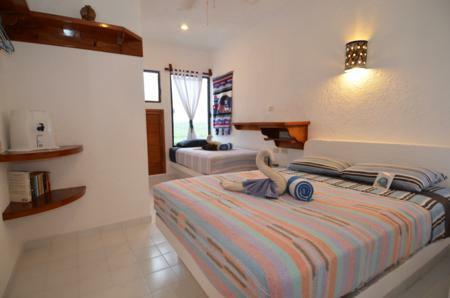 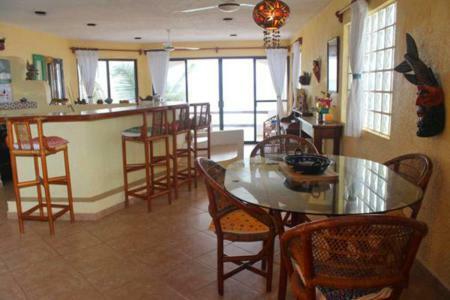 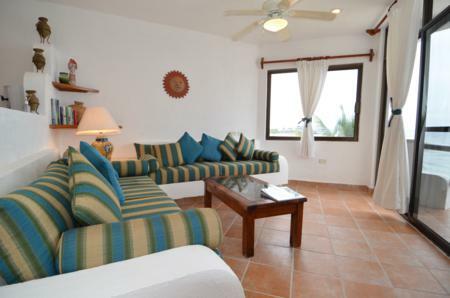 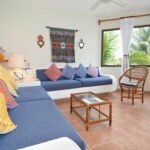 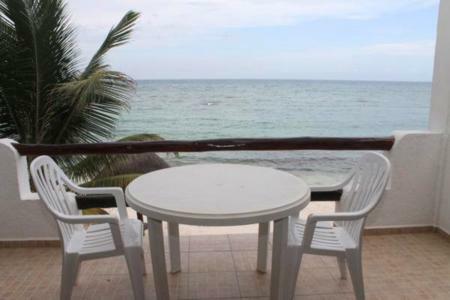 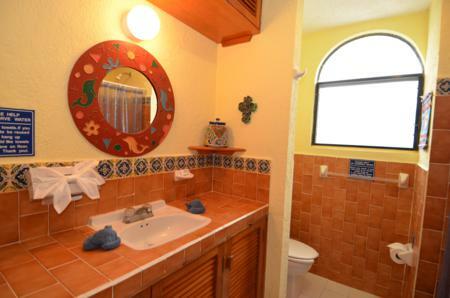 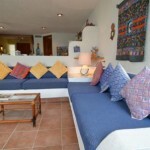 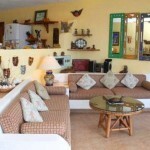 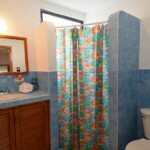 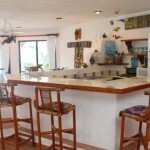 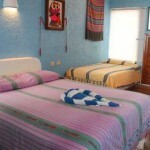 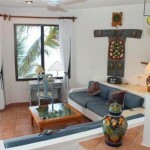 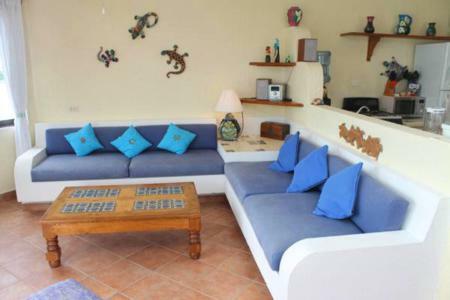 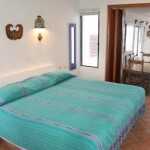 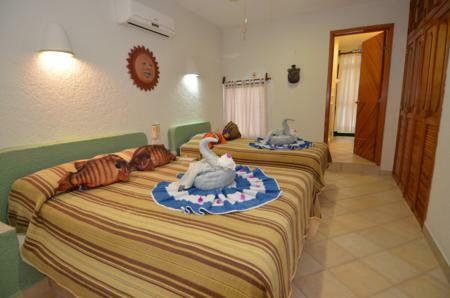 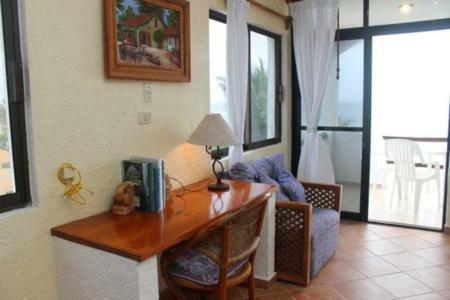 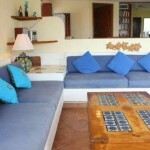 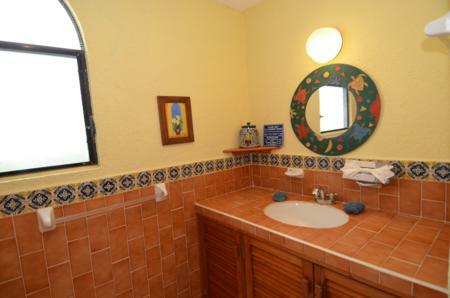 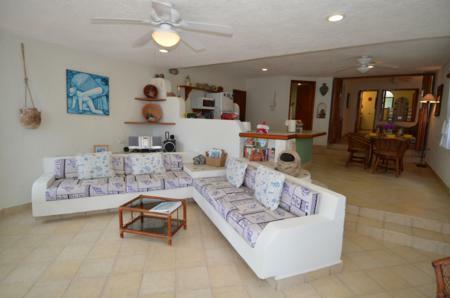 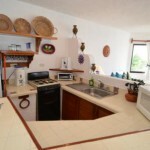 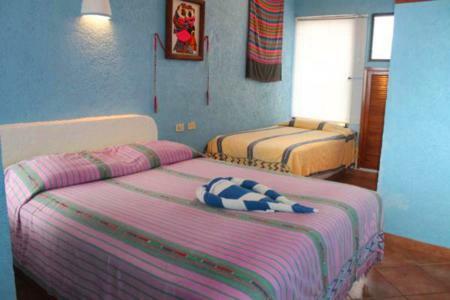 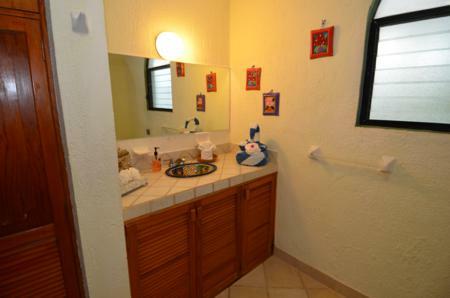 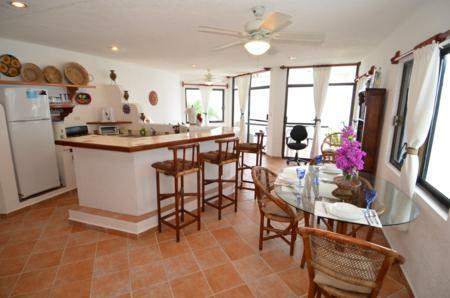 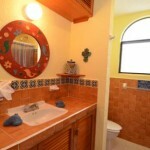 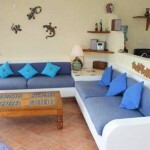 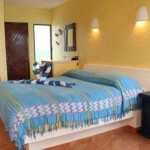 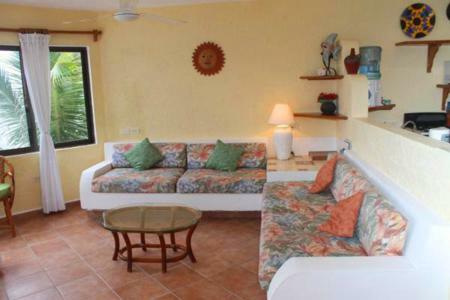 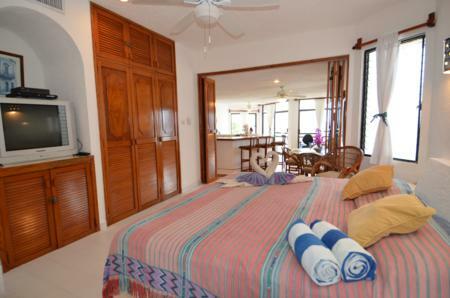 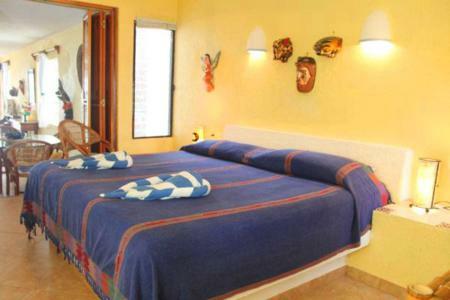 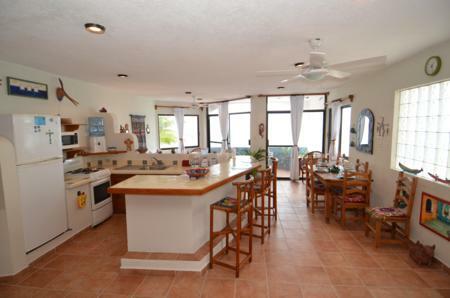 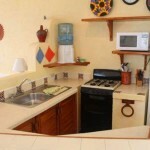 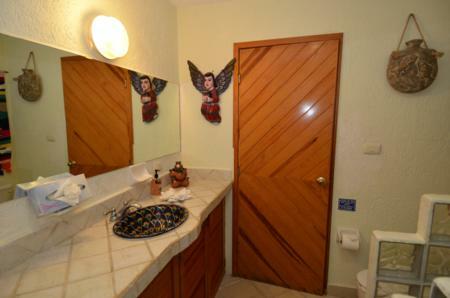 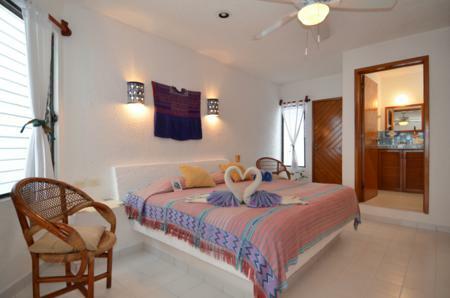 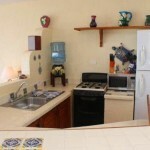 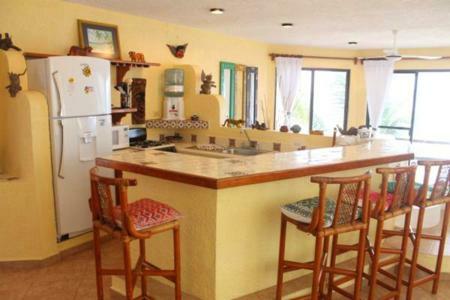 Luna Azul has (8) two bedroom, two bath, beach front condominiums which can also be rented as one bedroom condos, by simply locking off the second bedroom and bathroom. 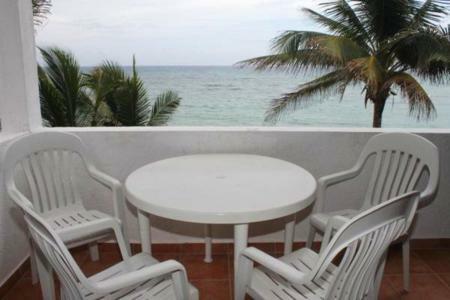 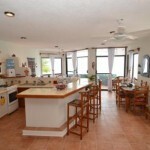 These beach front condos have air conditioned bedroom(s), fully equipped kitchens that include a four burner stove/oven, microwave, coffee maker, toaster, blender, etc., dining area, living area and a sea side patio or balcony looking out on Half Moon Bay and the Caribbean. 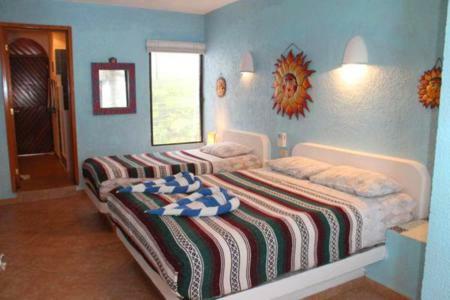 The bedding in the two bedroom units includes a variety of sizes to suit your needs and a king size bed is included in one-bedroom rentals. 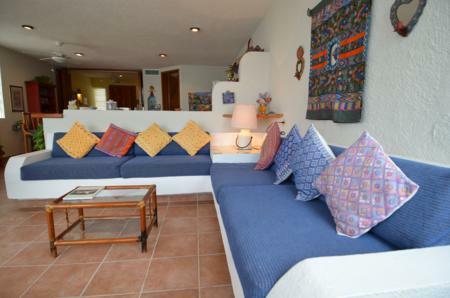 These condos are all very nicely maintained and offer exceptional views with beach access to one of the best parts of Half Moon Bay. 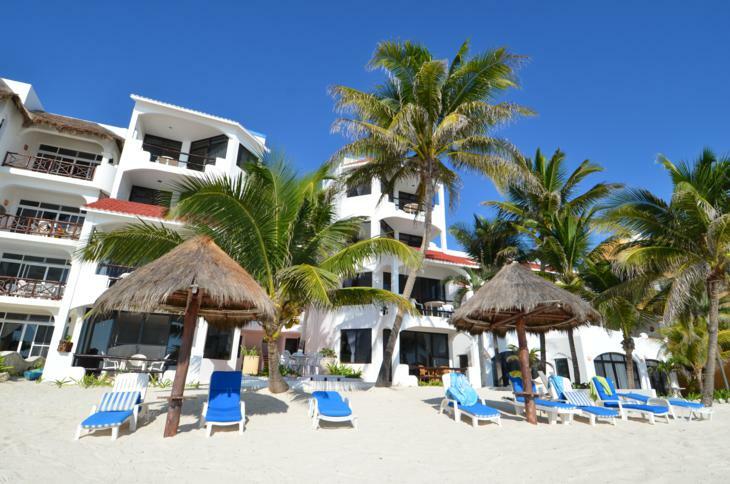 The sandy beach in front of the condo is ideal for sunbathing. 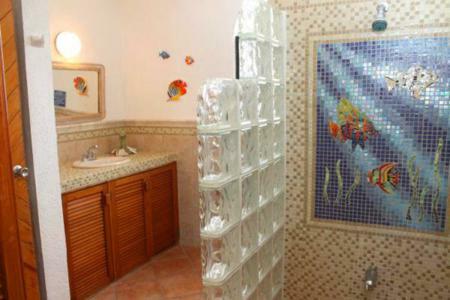 Good snorkeling is at your fin tips just beyond the surf line in Half Moon Bay. 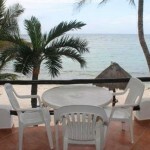 Yal Ku lagoon is just a short walk up the road and offers more great snorkeling. 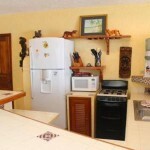 There are two convenience stores nearby for last minute items. 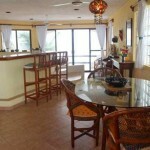 There are also two restaurants on the bay as well as a bar and dive shop. 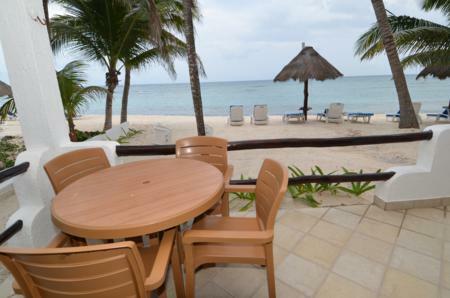 La Buena Vida is a favorite local watering hole/restaurant with a sand floor and “swing bar”, and has a dive shop next door. 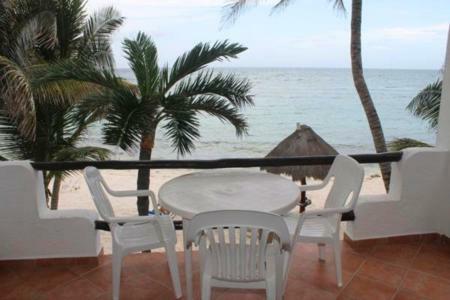 The other way, toward Yal Ku Lagoon, is La Lunita restaurant, serving excellent international cuisine, dining inside or out on the beach. 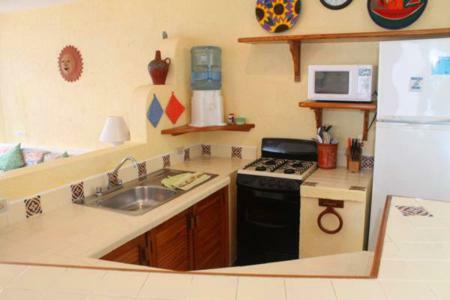 Just a few steps away to the south is the La Caleta convenience store. 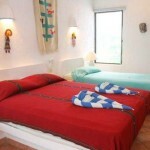 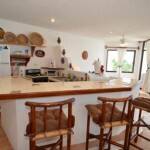 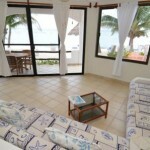 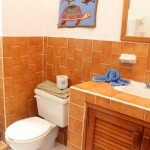 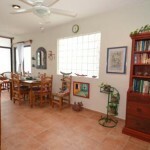 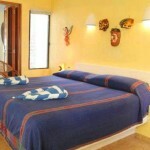 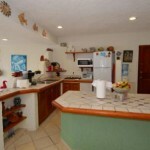 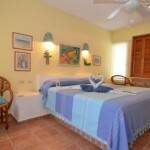 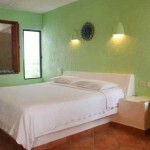 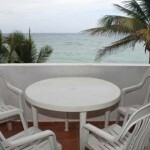 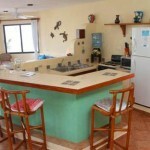 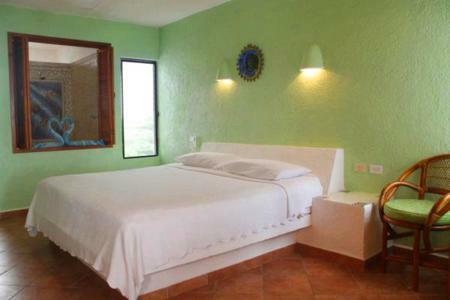 Akumal Bay is the heart of town and is two kilometers south. 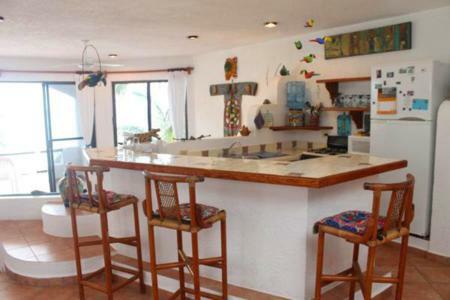 There you will find more restaurants, gift shops, grocery stores, dive shops, and just about anything else you may need to make your vacation complete. 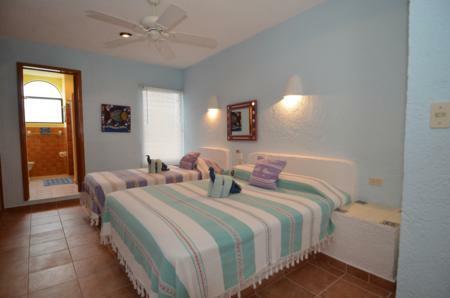 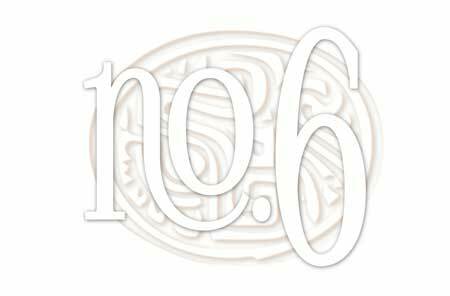 Special: Only $150.00 per night for new reservations with stays between now and April 28, 2019. 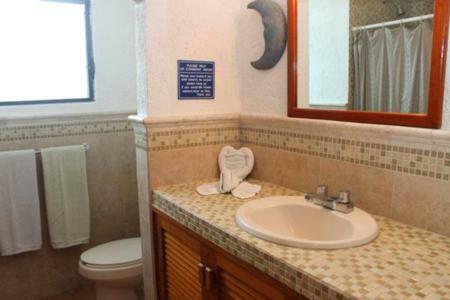 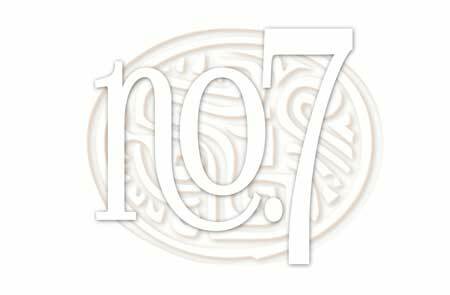 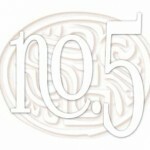 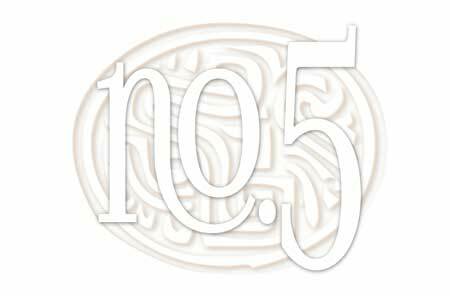 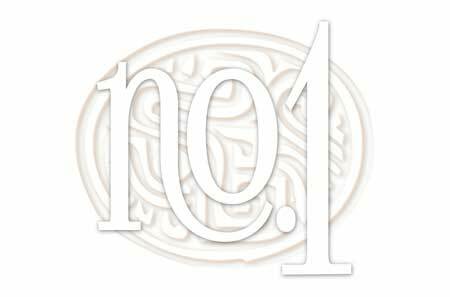 Applies to Condos #1, #3, #4, #5, #6, #7, #8. 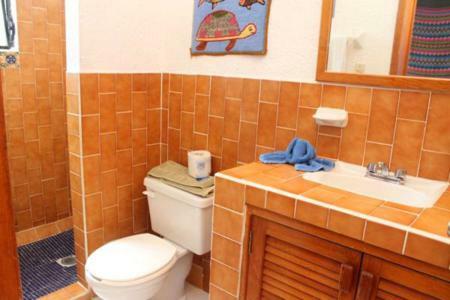 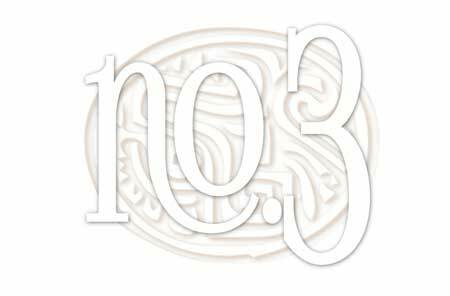 Above rates include the 19% tax. 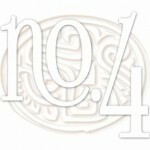 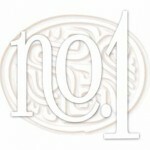 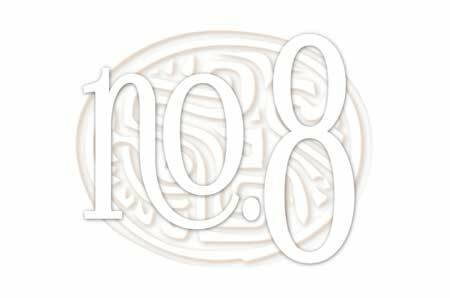 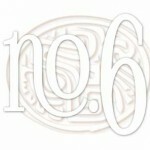 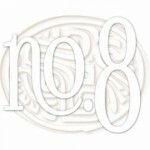 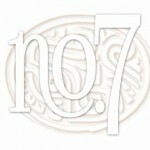 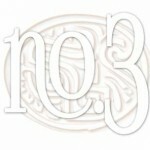 19% tax is included in above rates. 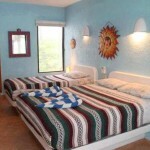 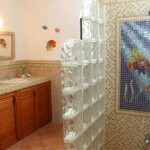 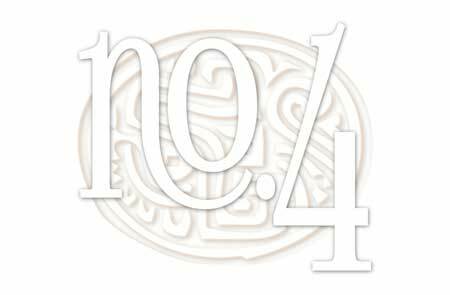 A non-refundable $40.00 damage waiver is required with each reservation. 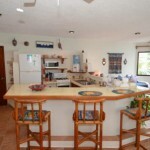 Maximum occupancy 5 people per two bedroom condo, 2 people per one bedroom condo.